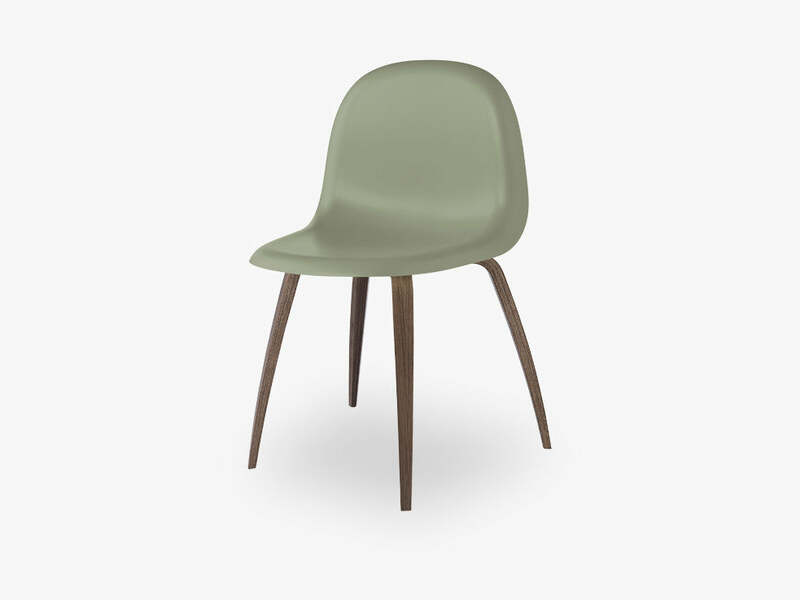 GUBI laver de smukkeste Spisebordsstole og 3D Dining Chair er ingen undtagelse. Skallen i denne udgave hedder Mistletoe Green shell og stellet er American Walnut base. 3D serien er designet af Komplot Design for GUBI. Produktets dimensioner er: 82 x 52 x 53,5 cm. Varenr. : 31014-254. Om produktet siger GUBI selv: The GUBI Chair, designed by Komplot Design, was the first furniture design to be based on the innovative technique of moulding three-dimensional veneer. The 3D design gives the chair comfort and a sense of lightness – with all edges pointing away from the user. The thickness of the veneer is reduced to half of that normally used due to the very strong 3D design. The GUBI Chair is included in the Museum of Modern Art’s permanent collection..